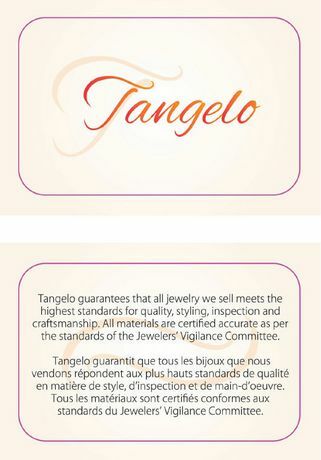 ›Tangelo 8-2/5 Carat T.G.W. 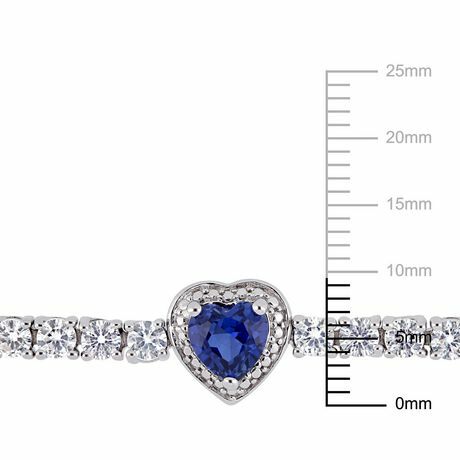 Created Blue and White Sapphire Sterling Silver Heart Halo Tennis Bracelet, 7"
Tangelo 8-2/5 Carat T.G.W. 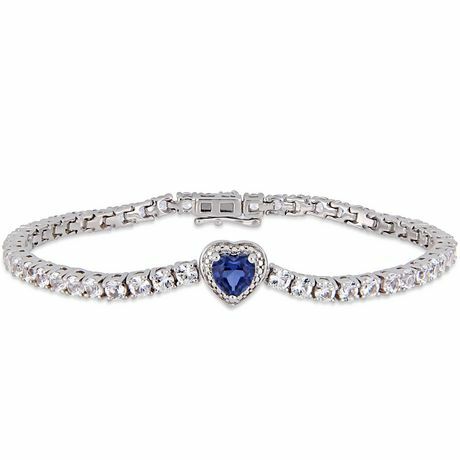 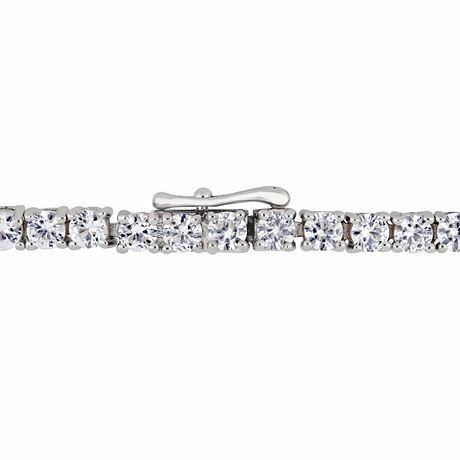 Created Blue and White Sapphire Sterling Silver Heart Halo Tennis Bracelet, 7"
Add a gorgeous piece to your jewelry collection with this elegant Tangelo Tennis Bracelet. 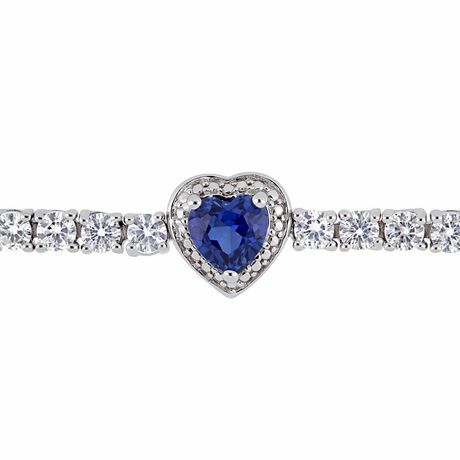 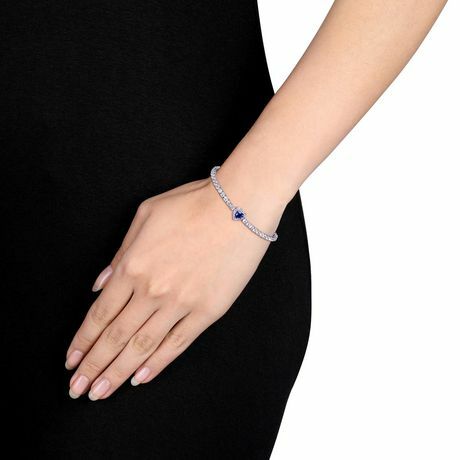 Crafted in shimmering sterling silver, it features a heart-cut created blue sapphire (6mm) surrounded by 50 round-cut created white sapphires (3mm) and is polished to a brilliant shine.